Could you be a parent champion? So here we are in December and bringing you the final Family Focus of 2018 – where did the year go? 2018 has been a very successful year for some of the services who provide support to the families of North Lincolnshire and we have taken this opportunity to share some of these successes with you as we look back over the year. 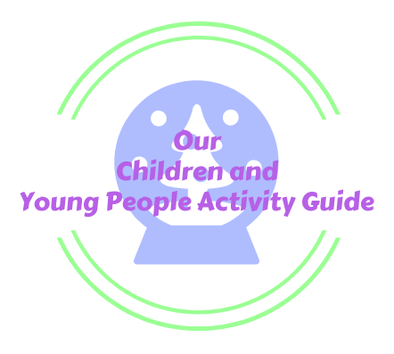 There is still more festive fun to be had though and we have all the details in our Children and Young People’s Activity Guide. And also look forward to some things already planned for 2019 including an exciting opportunity for you to work with us as a volunteer parent champion. May we take this opportunity to thank you for your continued support and wish you all good things for the festive season and the new year ahead! What a year it has been for us at the Family Information Service and for other colleagues who support our families in North Lincolnshire. It has been a year of celebrations for our twentieth anniversary with us hosting two tea parties, the first at the CrosbyOne Centre in May and the second at The Arc Westcliff in September. We hope that those of you who came along enjoyed them as much as we did. This year also saw the birth of our very own bear mascot, RuFIS! 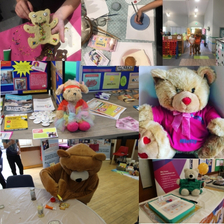 RuFIS has had a great time meeting lots of you at family events, parent toddler groups and of course at our teddy bear’s tea parties. Have you been following the RuFIS Days of Christmas on our Facebook or on Twitter? For 2019 he has his own selfie board and some cute RuFIS stickers to hand out, so make sure you come and say hello at any of the events we are attending next year. We also launched our Family Information Directory earlier this year. The directory is a one-stop place to find local OfSTED registered childcare providers and services offering a range of support for families both local and national. 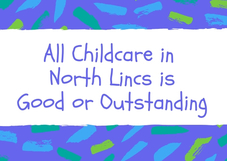 As we told you in the November edition of Family Focus, every Early Years provider in North Lincolnshire is currently rated as either ‘Good’ or ‘Outstanding’ by OfSTED. That means, that no matter if your child attends a private nursery, pre-school, out of school club or childminder you can be sure they are getting a high standard of care and early education and the very best preparation for school. It is such a major achievement that we thought it worth saying again. 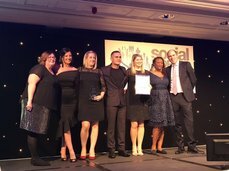 We are proud to say that the social work team from North Lincolnshire Children’s Services was recently awarded a Gold Award, the highest available at the national Social Worker of the Year Awards in London. This is a fantastic acknowledgement of the hard work and dedication of our social work colleagues and their commitment to supporting our families to be safe and more resilient. In 2019 the Family Information Service are looking to recruit a number of volunteer parent champions within the Scunthorpe area. Parent Champions is a national network administered by Coram Family and Childcare and endorsed by the Department for Education and we are excited to be setting up our very own North Lincolnshire scheme next year. We are looking for parents or carers who have benefited from being able to access a funded childcare place for a two, three or four year old or have benefited from the introduction of the 30 hours. Has having the funded childcare in place allowed you to do some training or get into work? Maybe this has improved your employment prospects by getting a promotion or changing jobs – something you would not have been able to do without having funded childcare? What does a parent champion do? A parent champion simply speaks to other parents in their own community about the benefits of funded childcare for them and encourages them to take up their own funded childcare entitlement if they are not doing so already. This can be as informally as a chat at the school gate or telling a friend over coffee and need only take up a small amount of time each week. If you think you might be interested in volunteering as a parent champion please call 01724 296629 or email caroline.harris@northlincs.gov.uk. 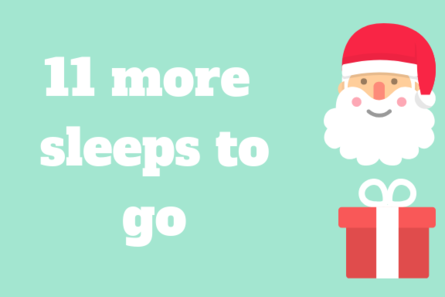 With only eleven sleeps to go until the big man arrives we are all getting very excited and hoping we are on Santa’s nice list. has details of seasonal events and activities for all ages and where you can still meet Santa himself before he needs to go back to the North Pole. Don’t miss the Normanby Hall Christmas Market this weekend, with over 25 food and craft stalls, carol singing, music and cookery demonstrations. The market is free but there is a £3 car park charge or just display your annual pass. This weekend is also your last chance to visit the Rotary Festival of Christmas Trees 2018 at Old Brumby United Church on Ashby Road in Scunthorpe. There are over 80 trees to admire including one by our very own RuFIS and we believe it could be the biggest festival of its kind in the North of England. Entrance is free with donations being collected for the Lindsey Lodge Hospice. What better way to get you in the festive spirit and support a local charity at the same time? If you are in the Brigg area then the town is having its own Brigg Festival of Christmas Trees at St. John’s Church and RuFIS has sent along a festive wreath on behalf of the Family and Adult Information Services. If you are a parent who is accessing the 30 hours funded childcare or Tax Free childcare then you must re-confirm your eligibility for the funding every three months. Failure to do so will mean you do not receive the funding for the following term and you risk being presented with a bill you were not expecting in the New Year. 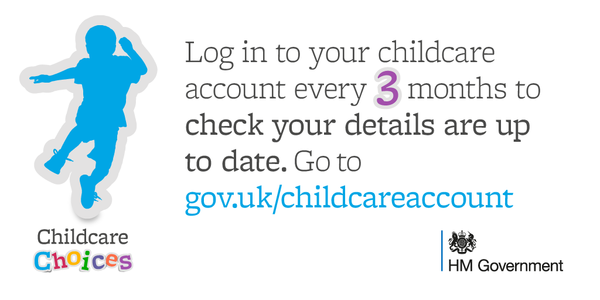 Check your Childcare Service account today to see if you need to re-confirm before the festivities get into full swing and it risks getting forgotten. Working parents who have a child who will turn three before 31 December 2018 can also apply now for 30 hours to start in January but you must do so before midnight on New Year’s Eve to use the funding in the Spring term. Have you ever thought about becoming a registered childminder? If you love to see children learn and grow this could be the career for you. It can also be a good option for those wanting to stay at home to care for their own children and earn money caring for other children at the same time. 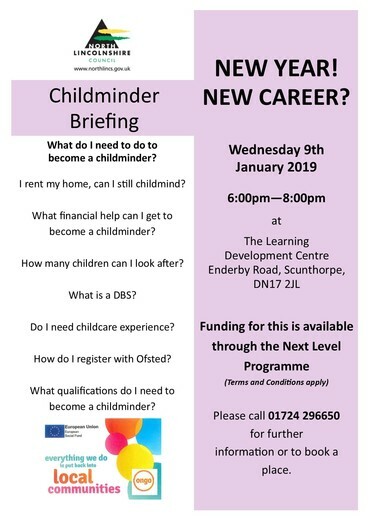 There will be a pre-registration briefing session on 9 January 2019 at the Learning Development Centre, Enderby Road, Scunthorpe where you can find out more about what is involved. To book a place please call 01724 296650 or email childcare.training@northlincs.gov.uk. Your local Children’s Centre offers a range of free training for parents. From help with toddler tantrums to advice on how to understand your teenager or coping with stress and anxiety Children’s Centre staff are on hand to support you. To see what courses are being offered in the Spring Term download a copy of the Spring timetable today.